INDIANAPOLIS – Alexander Rossi went from the front row of the Indianapolis 500 last year to the last row for the 102nd Running of the Indianapolis 500 presented by PennGrade Motor Oil. The 2016 Indianapolis 500 winner experienced first-hand the mystery of qualifying at the Indianapolis Motor Speedway. Driving the No. 27 NAPA Auto Parts Honda, Rossi posted an official four-lap, 10-mile run of 224.935 miles per hour on Pole Day Sunday, considerably slower than his Bump Day speed on Saturday of 227.561 mph. The former Formula One driver qualified last year at a blistering 231.487 mph. 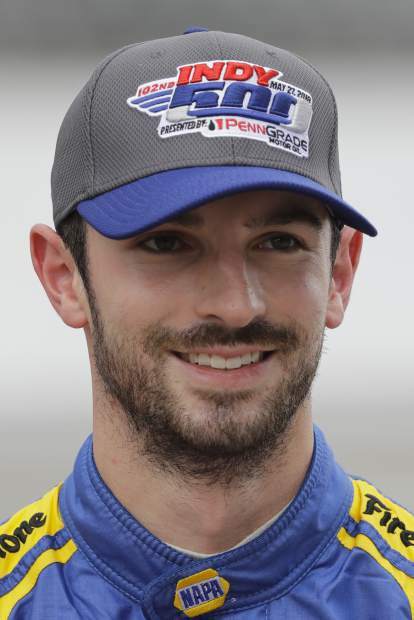 Rossi, a Nevada City native, is 32nd, in the middle of Row 11 on the 33-car grid for the Indianapolis 500 on May 27, between Meyer Shank Racing with SPM’s Jack Harvey of England and Dale Coyne Racing/Thom Burns Racing’s Conor Daly of Indiana. Rossi was unsure of the reason for a dramatic drop in speed on each lap of his qualifying run, going from 227s on his first lap down to 221s on his final lap. He was diplomatic about Race Day. Rossi is one of six drivers on the Andretti Autosport team that was led Sunday by Marco Andretti’s average of 227.288 mph, good for 12th position. Ed Carpenter Racing’s owner/driver Ed Carpenter won the Verizon P1 pole award with a four-lap average of 229.618 mph. He’ll be joined on the front row of the 33-car field by Team Penske drivers Simon Pagenaud whose run averaged 228.761 and Will Power who had a 228.607. The 102nd running of the world’s largest single-day sporting event airs live at 11 a.m. next Sunday on ABC and the Advance Auto Parts INDYCAR Radio Network. Courtesy of the Indy 500 News Bureau.